We represent you and your needs to countless financial institutions. More choice means lower rates. Brokers that make lenders compete for your business, unlike the high street bank and we do not sell your information like lead generating companies on the web. Independent Financial Brokerage services with a personal touch. Brokerage that makes lenders compete for your business. Xcapade Finance is the Mortgage Expert and we will personalise our service commitment to you as you are the most important person to our business. We are here to walk you through the mortgage loan process and handle any complications that may arise during and after your mortgage loan application. We want to be your Mortgage consultant for life, someone who will be there to help you through all of your important mortgage decisions. 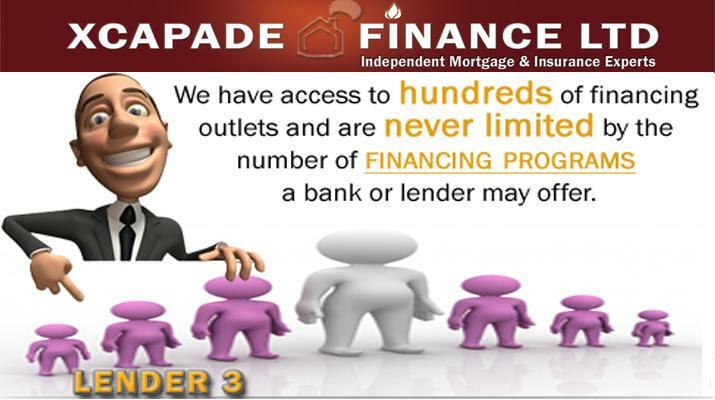 You are the corner stone of Xcapade Finance Limited our success is the direct result of successfully addressing and answering any mortgage financing needs you have. Hello my name is Khuram Rana and I am an independent mortgage advisor specialising in Mortgages. My advice is unbiased and personalised to fit your individual needs. I bring the whole of the mortgage market to you including lenders who are not on the high street. We make lenders compete for your business unlike high street banks and do not sell your information like lead generating companies on the web. Contact me for a comparison of all lenders that fit your criteria and see for yourself why we are in business and successful. Xcapade Finance Limited Registered in England Company number 06769784. Xcapade Finance Ltd is an appointed representative of Sesame Ltd which is authorised and regulated by the Financial Services Authority. Sesame is entered on the FSA register (www.fsa.gov.uk/register/) under reference 150427. Registered office: Chiswick Park Building 3, 566 Chiswick High Road, London W4 5YA. First Time Buyers, Remortgage, Buy to Let, Commercial, Bad credit, CCJ, bad credit history, soft foot print credit checks, no credit check, first time landlords and much much more. Remember we are "whole of market advisors" which means we can search the entire UK mortgage lending and bank market and bring it to you. 1) No fee, we will be paid by commission from the lender. 2) A fee of £1000 is payable on completion of your mortgage. This fee is charged for arranging your mortgage. We will refund any commission from the lender. 3) A fee of £1000 is payable on completion of your mortgage. We will also be paid commission from the lender. This fee is charged for arranging your mortgage.